"Here's a taste of Switzerland. This robust beef stew, from the mountainous Grison region, is perfect to keep out winter chills and to satisfy even the hungriest skier." We tried this today and loved it - will definitely be making it again. It gave the cabbage a wonderful flavour! One of my favorite recipes on this site... I don't know why this isn't more popular. 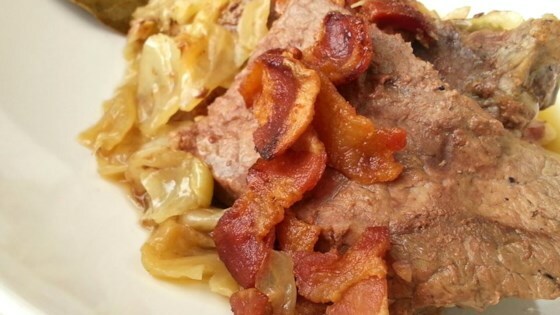 The wine and bacon flavors blend to make the meat and cabbage melt-in-your-mouth amazing.